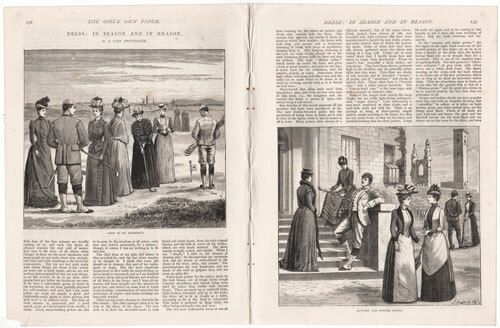 In 1880, the Religious Tract Society started a sister publication to its popular Boy's Own Paper. 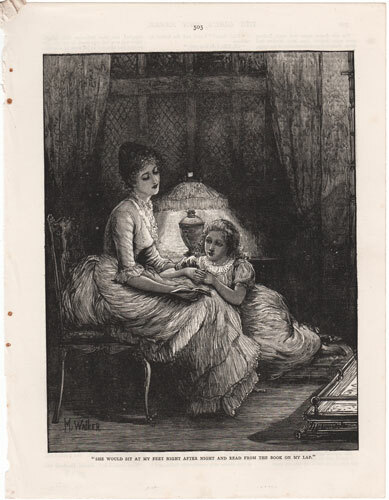 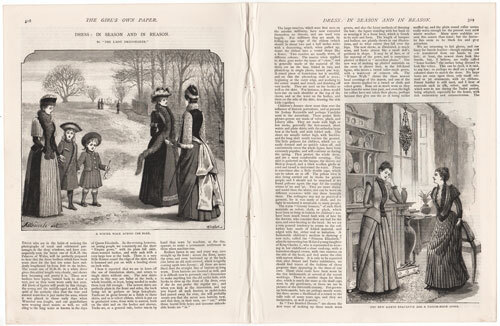 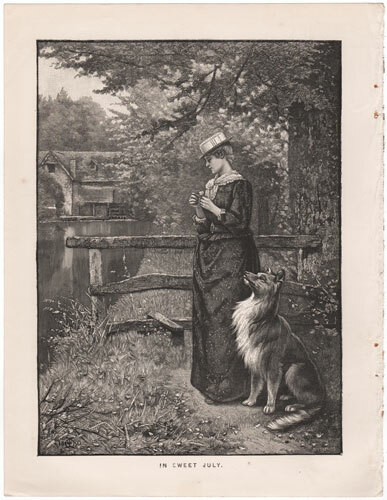 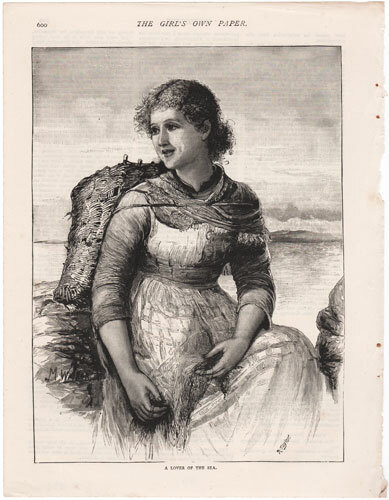 It was the editor's intention that the new magazine appeal to servant girls as well as young ladies of the middle class, but despite the inclusion of simple recipes and needlework instructions, The Girl's Own Paper became best known for it fiction. 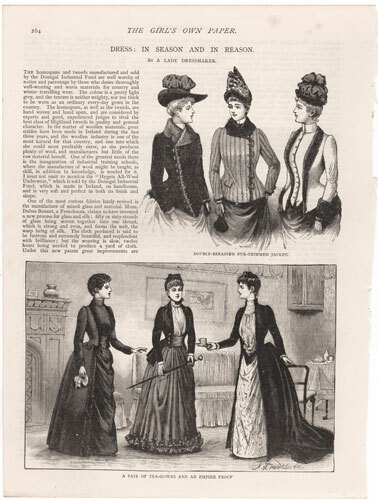 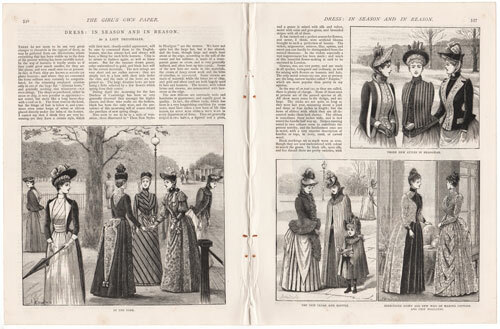 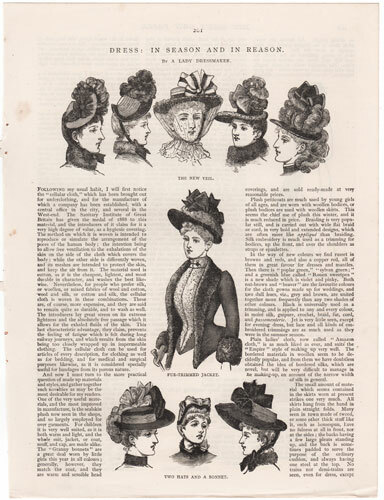 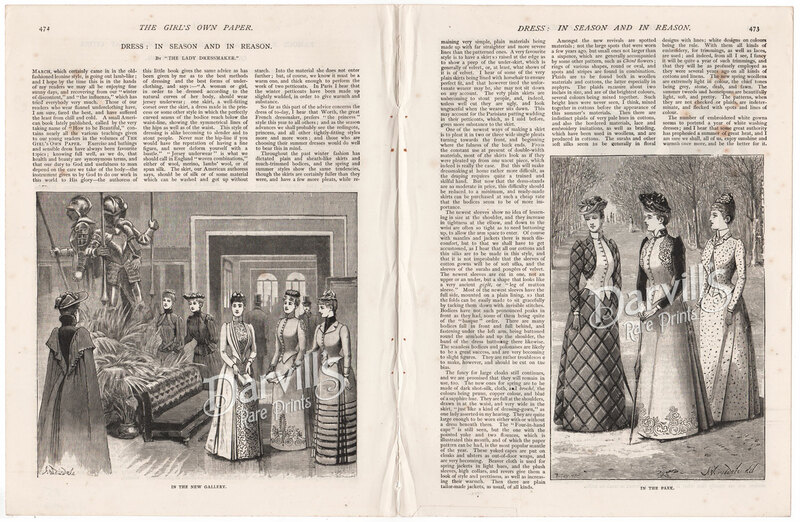 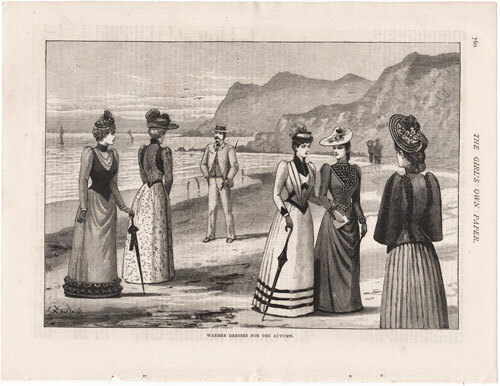 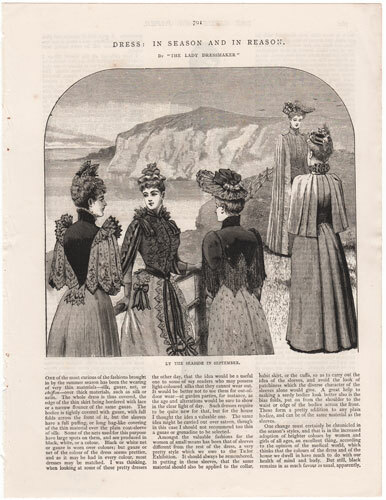 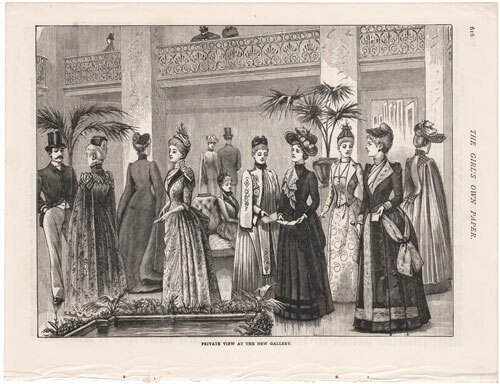 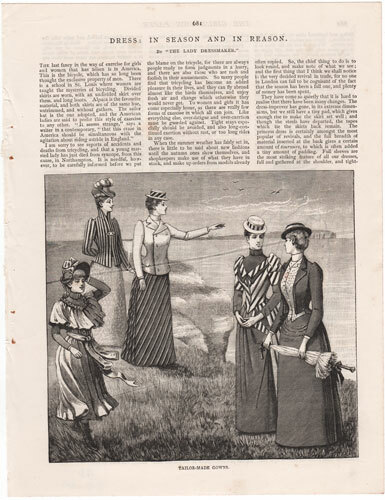 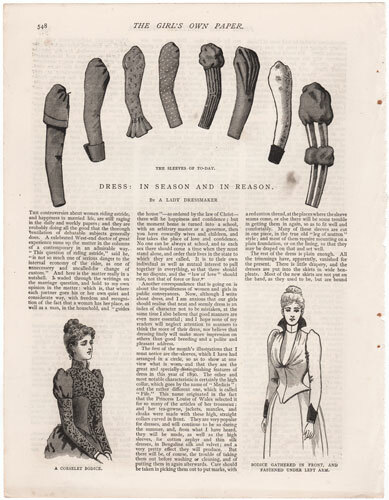 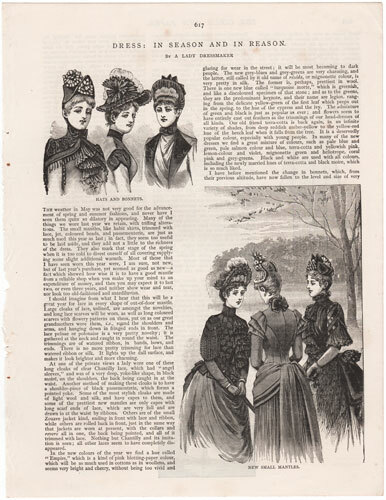 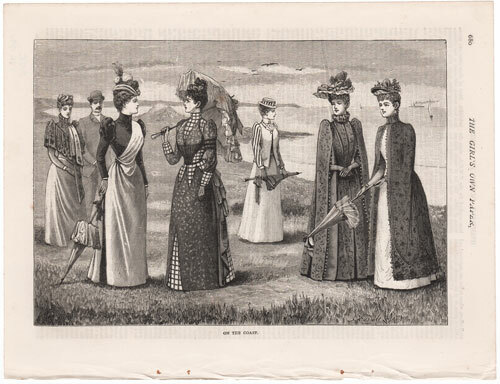 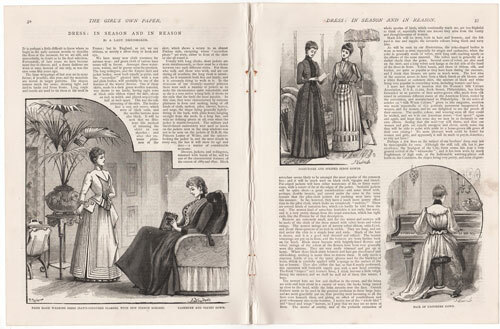 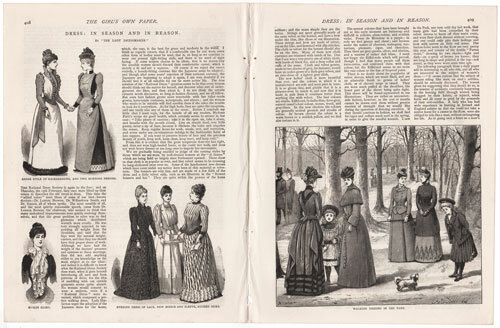 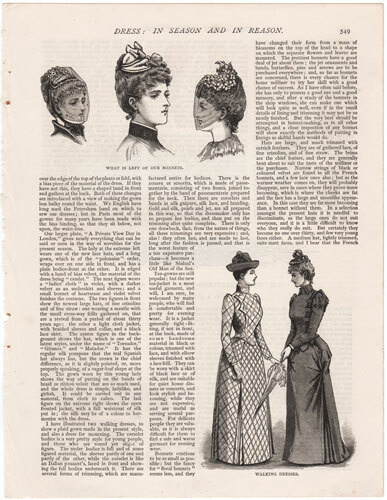 Through the Victorian era The Girl's Own Paper published a fashion column once a month. 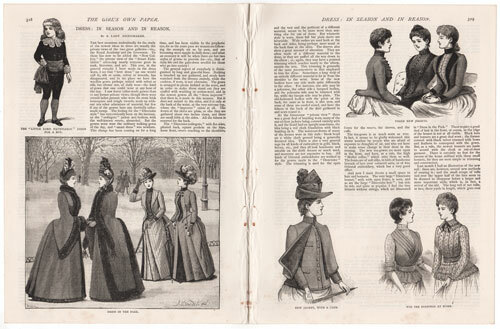 These were aimed at young women from the prosperous, if not wealthy, middle classes. 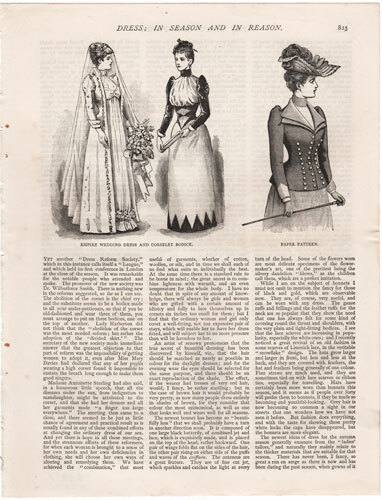 They described the ups and downs, and fads and fancies of fashion, offered dressmaking advice for those who wanted to follow the trends on a limited budget. 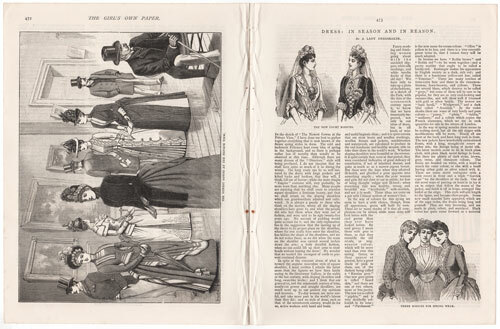 And unlike today's fashion publications, never hesitated to criticize or admonish. 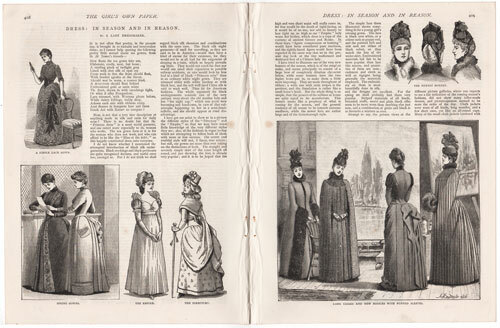 Looking back, these fashion columns give us an excellent picture of mainstream, if not ultra-fashionable, Victorian fashion. 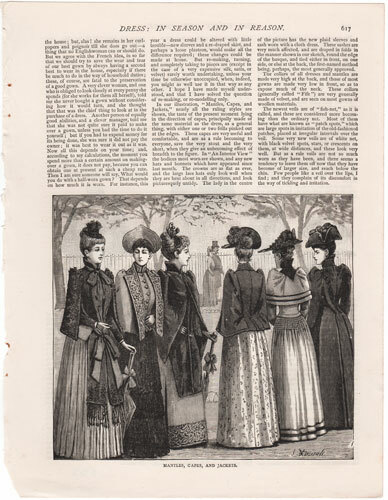 The first weekly number of The Girl's Own Paper appeared on January 3, 1880, price one penny. 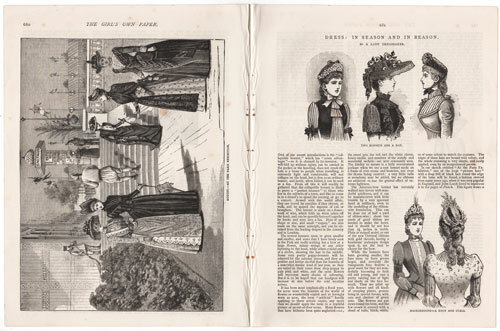 For her penny, the Victorian young lady received 16 quarto three-column pages, with many steel engravings. 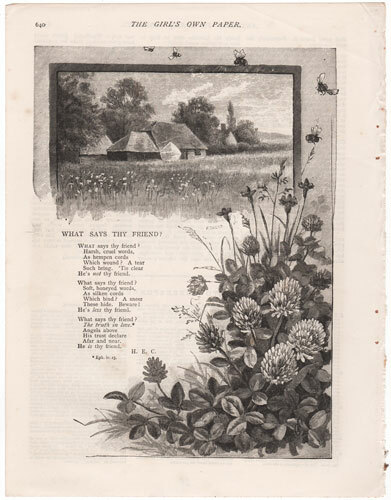 The GOP formula, a mix of stories and educational and improving articles, with "Answers to Correspondents" and occasional colored plates, poetry and music, was a great success. 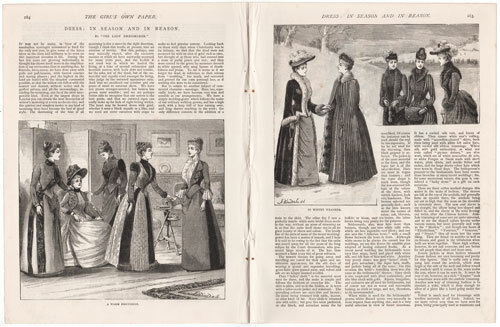 Quarto-sized weekly magazines continued, but the magazine was also made available bound into monthly parts, each monthly part contained the weekly magazines from the previous month. 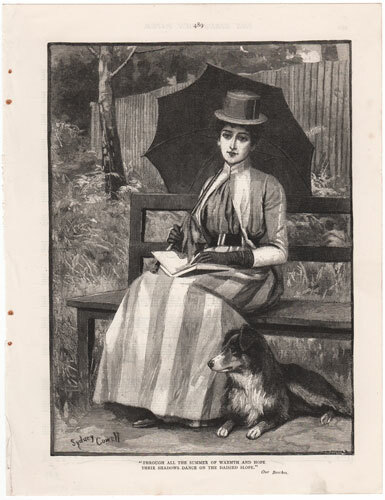 The editor, Mr. Charles Peters, remained with the paper for 28 years. 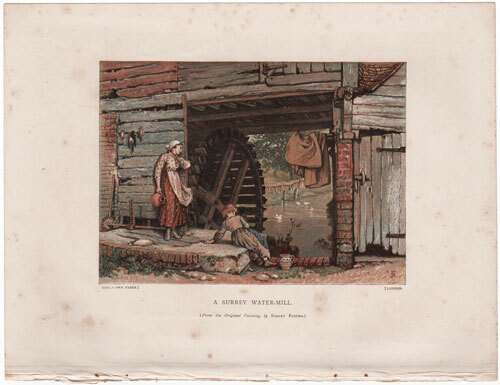 He had definite ideas for the GOP: he used it "to foster and develop that which was highest and noblest for the girlhood and womanhood of England – putting the best things first, and banishing the worthless from his pages." 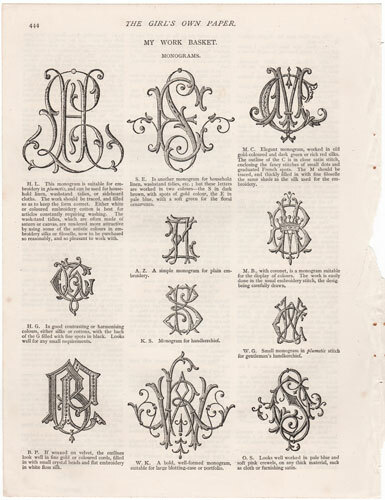 He managed to do this without making his magazine boring, preachy, or unpopluar. 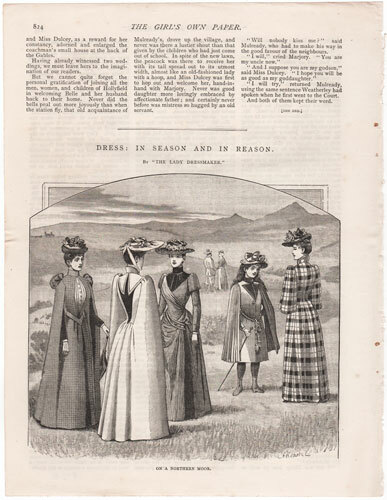 At the time of his death in 1907, the magazine was in excellent shape, in an attractive two-column format with photographic and halftone illustrations, and with the original mix of fiction and information broadly unchanged. 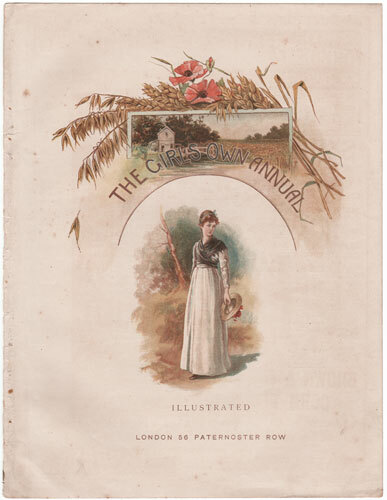 Further text and illustrations on the opposite side. 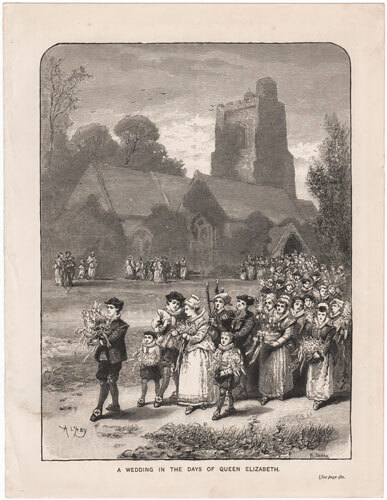 Please click on above image for an enlarged view and to assess condition. 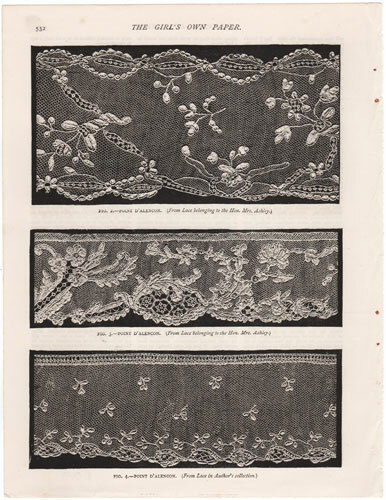 Typical age-appropriate toning, foxing, and edge/corner wear are possible. 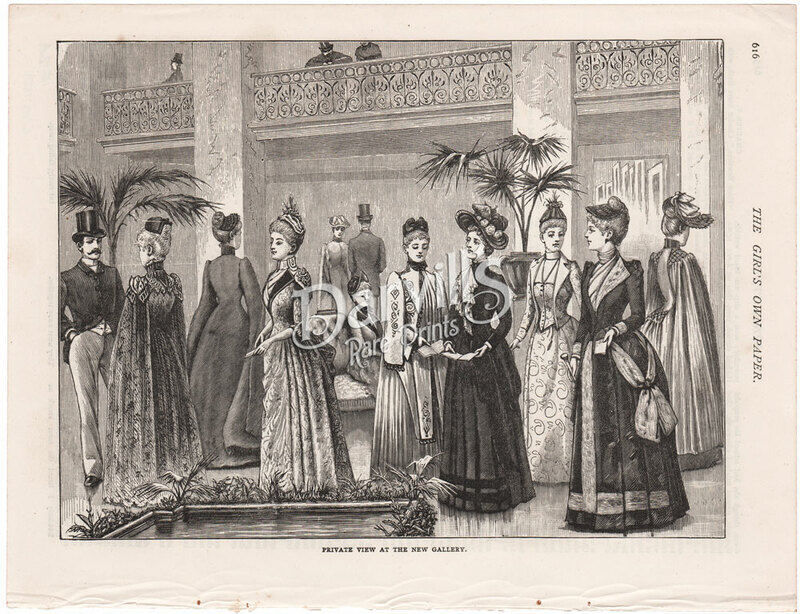 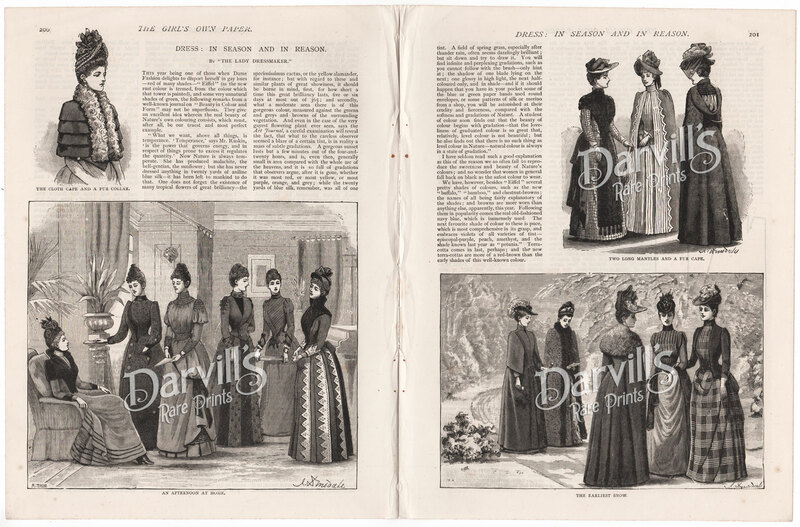 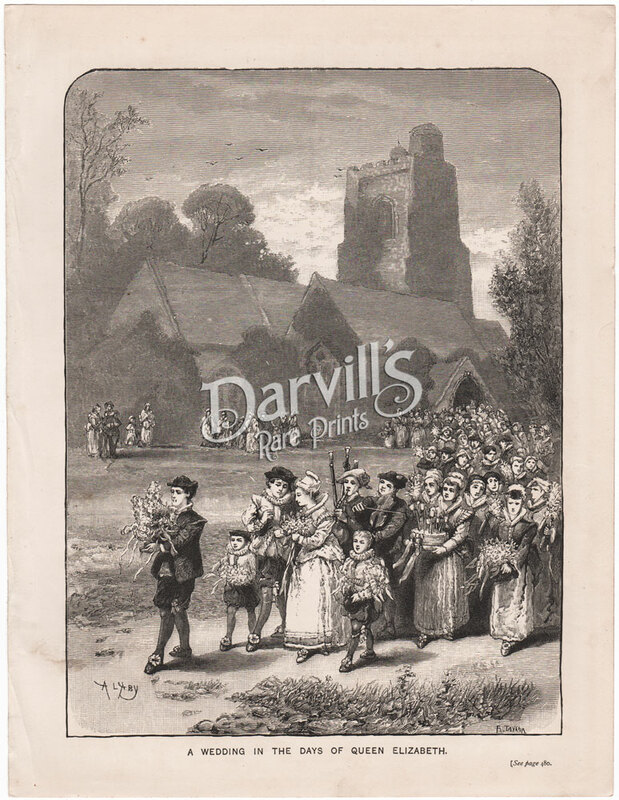 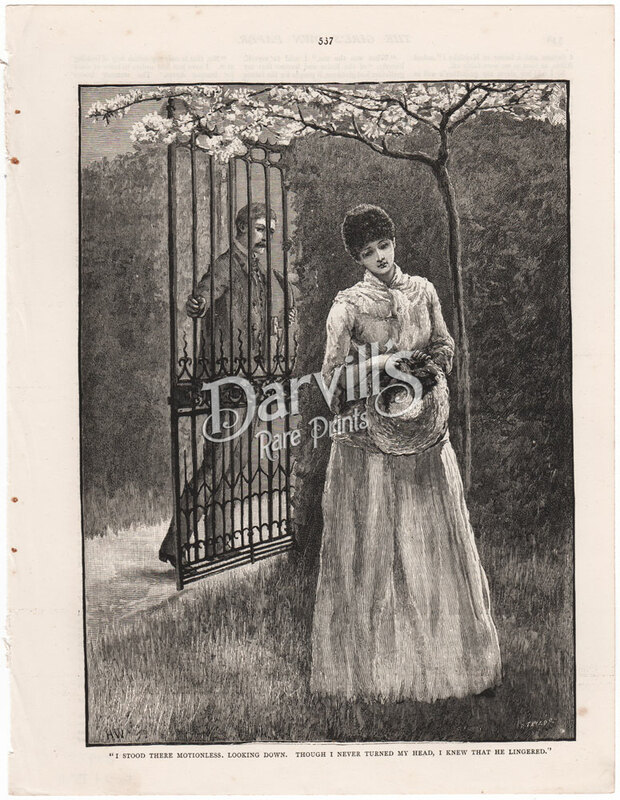 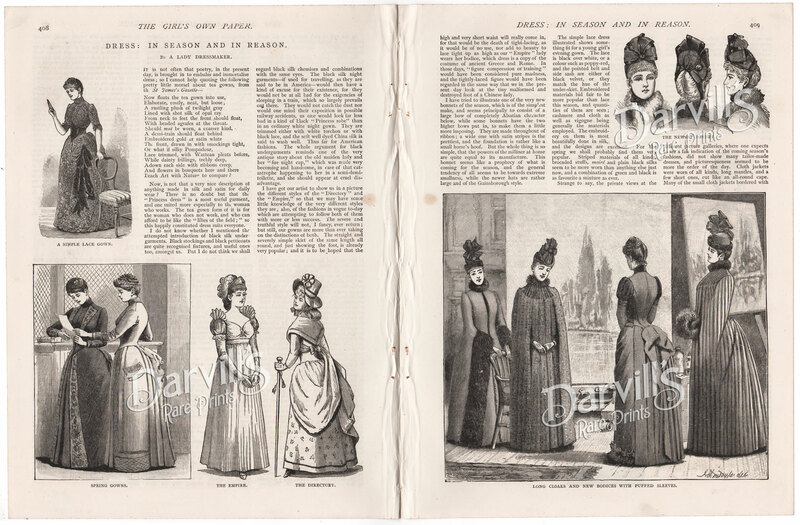 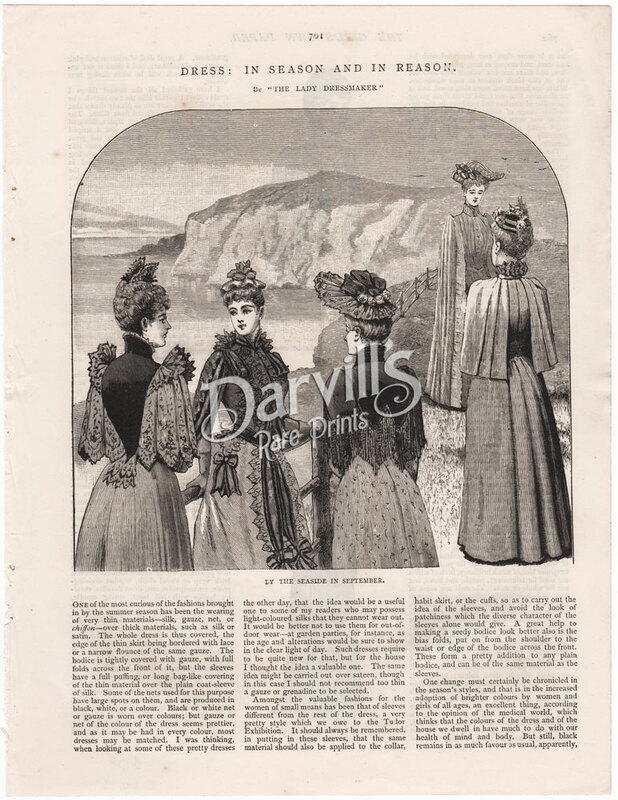 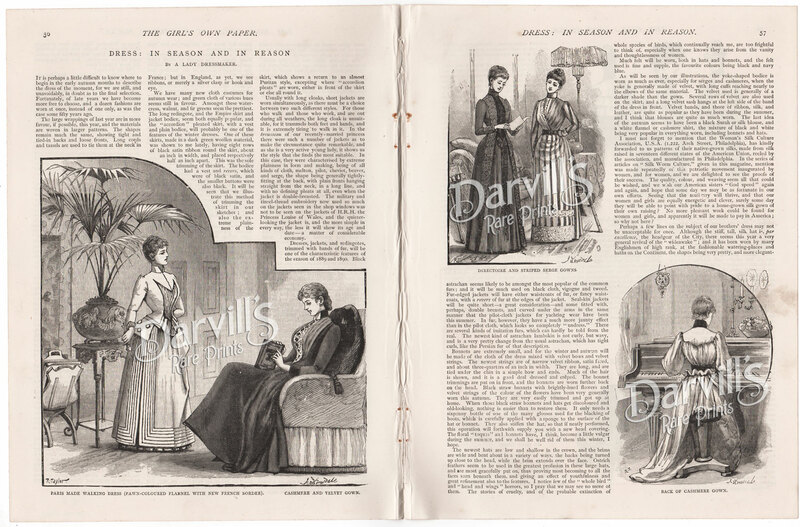 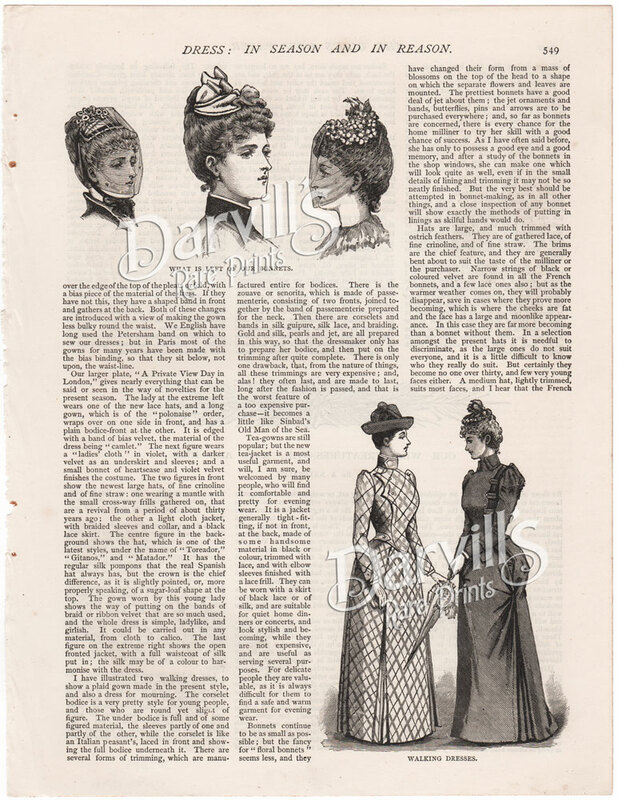 The Darvill's digital watermark does not appear on the actual antique print. 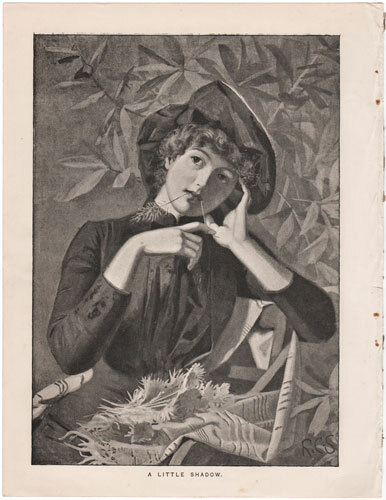 Further text and/or illustrations on the opposite side. 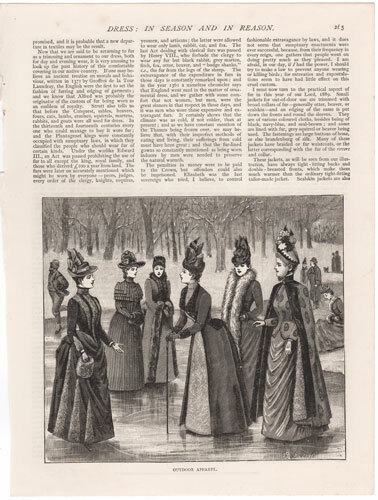 Please click on above image for an enlarged view and to assess condition. 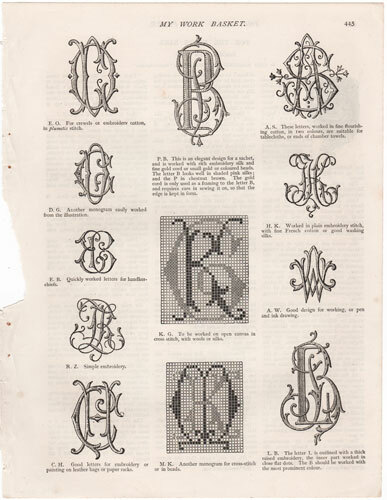 Typical age-appropriate toning, foxing, and edge/corner wear are possible. 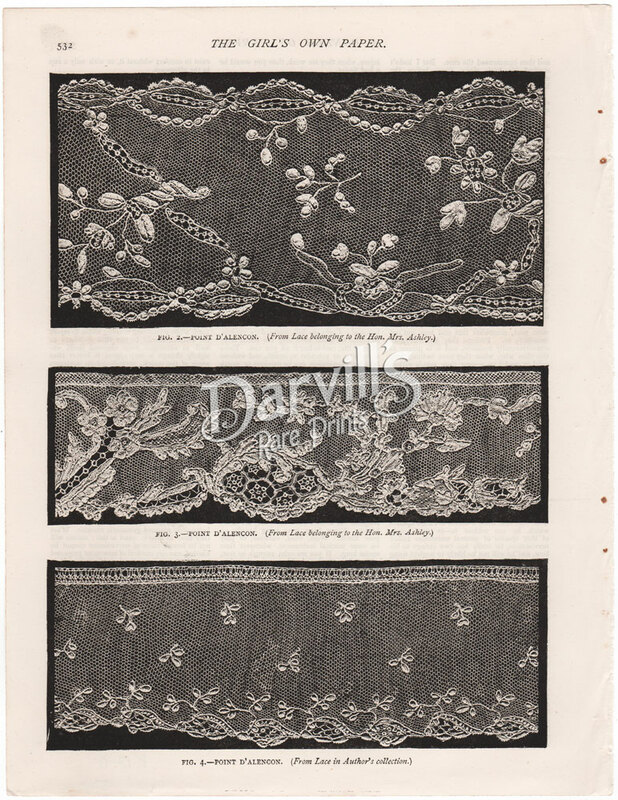 The Darvill's digital watermark does not appear on the actual antique print. 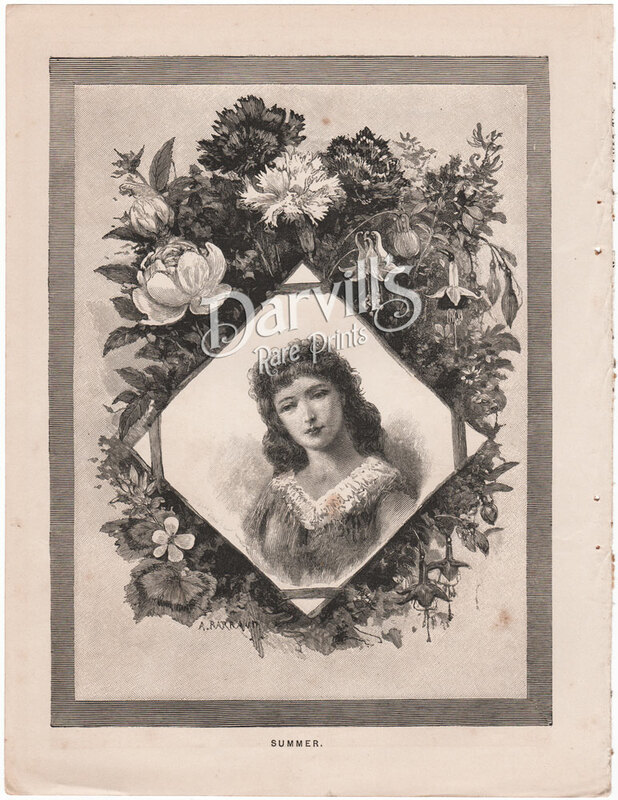 Please click on above image for an enlarged view and to assess condition. 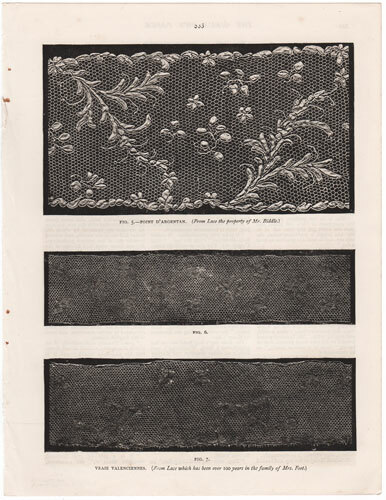 Typical age-appropriate toning, foxing, and edge/corner wear are possible. 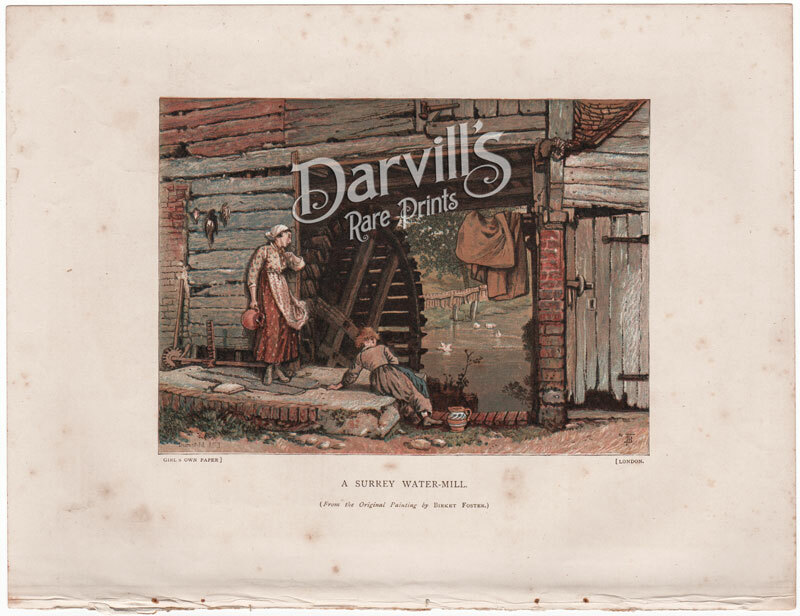 The Darvill's digital watermark does not appear on the actual antique print. 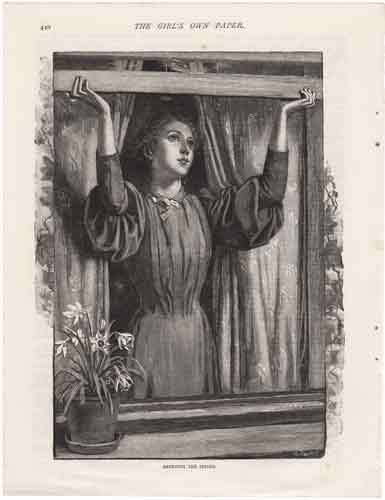 I stook there motionless, looking down. 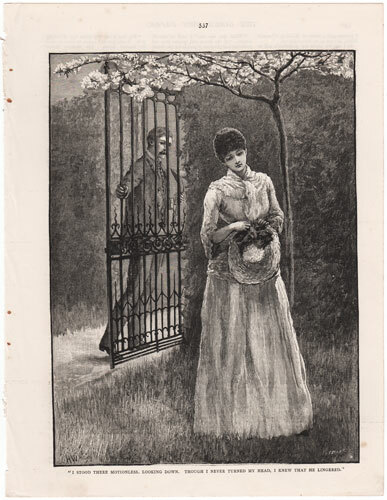 Though I never turned my head, I knew that he lingered.